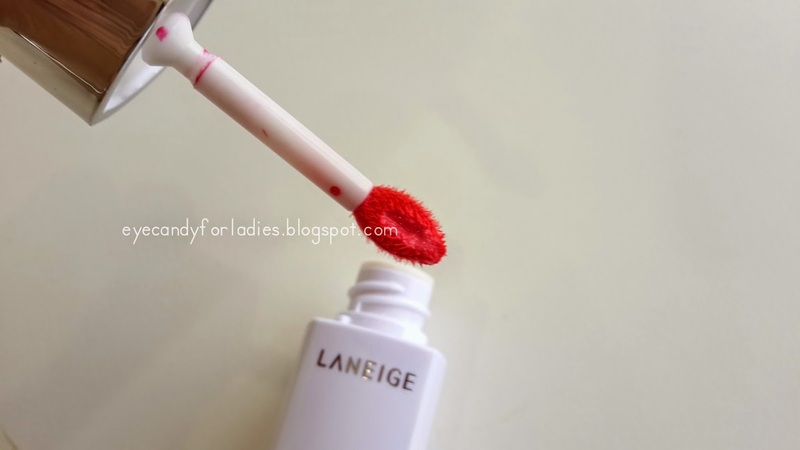 Another worthy splurge comes from the innovated Laneige Water Drop Tint. 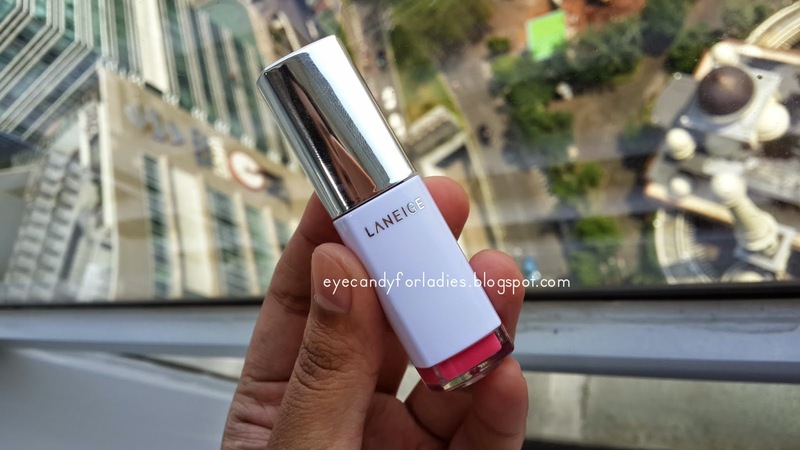 Instead of the all-time-favorite Serum Intense lipstick series, Laneige launched another addictive lip product which is called as Water Drop Tint. 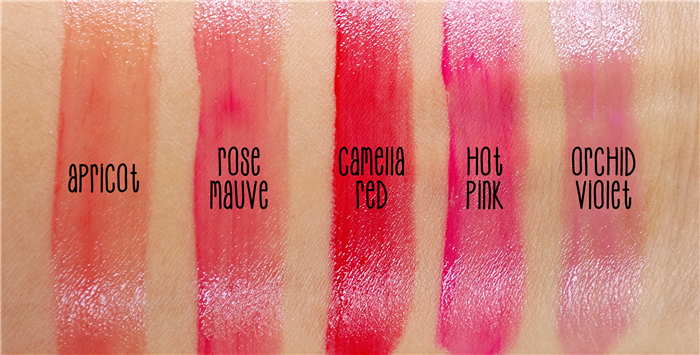 It's promoted to create lustrous, plumped lips with watery-effect. 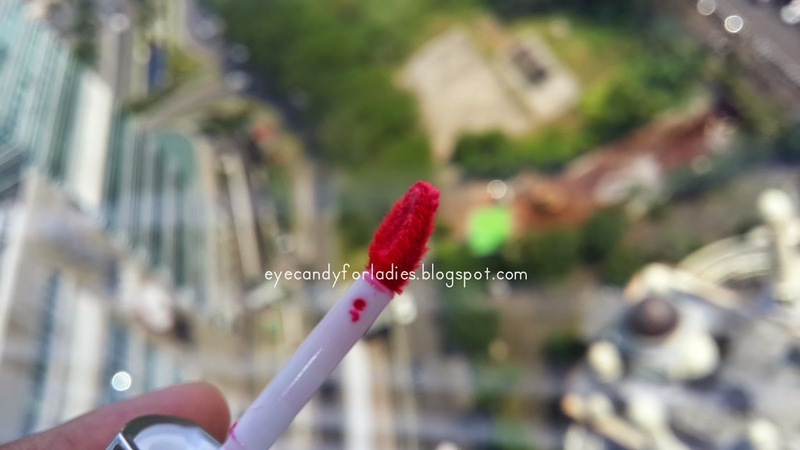 It comes in 10 shades for Won 22.000 (equals to IDR 270.000 from Yeppopal PO) with nett weight for 6 gr. 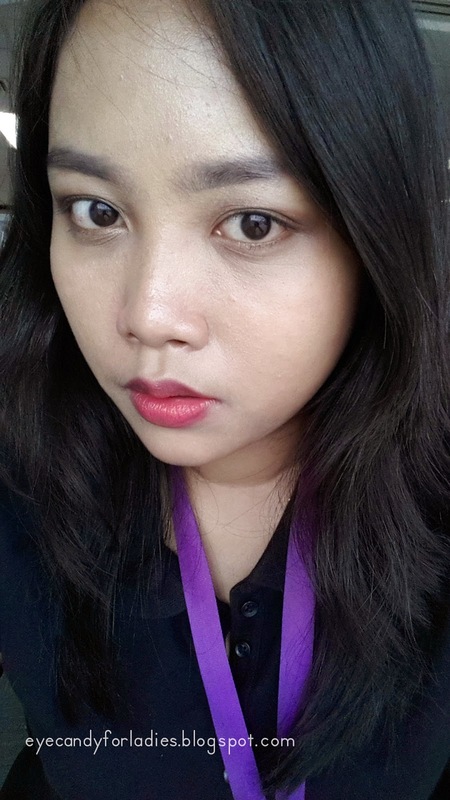 Furthermore, it says to "create lively, voluminous lips with each moist application and hydrating the lips while coat it with glossy-effect". The distinct comparison between Serum Intense and Water Drop is mainly in its texture, in which Water Drop has way more watery and liquid texture while Serum Intense has more creamy texture. It comes in a sleek-silvery cap and solid white lacquered plastic tube. The sponge also comes in an ergonomic-slanted sponge. 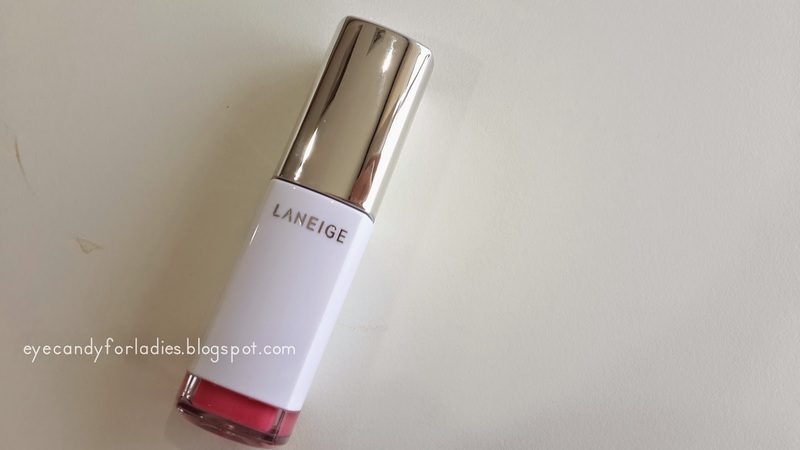 Meanwhile, the outer packaging comes in a metallic snow-patterned box similarly like the Serum Infused series box; typical of Laneige packaging. 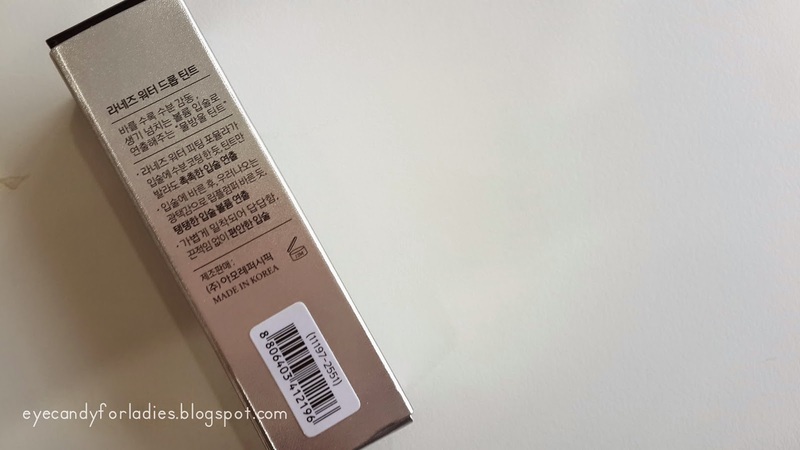 It has explanation about the product in Korean (sad) and brief shades info at the top of the box. 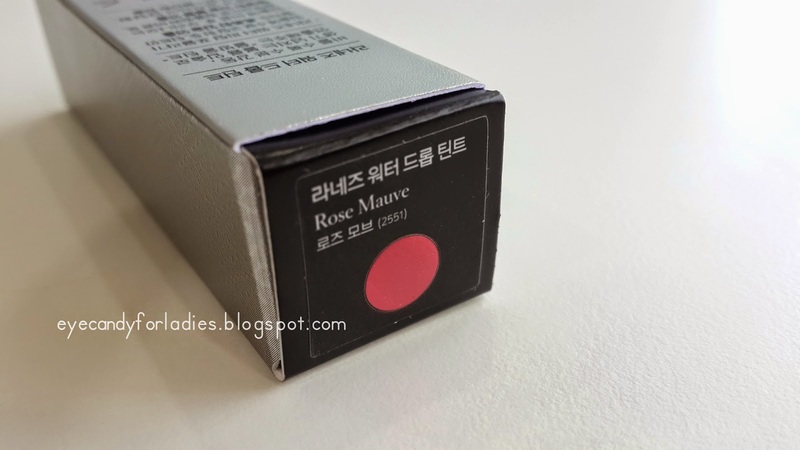 The chosen color is Rose Mauve which is a demure, pink-rose color. Unfortunately, the only product information only available on Laneige Korea official website with description written allover in Korean. Hardly to find the English ver. 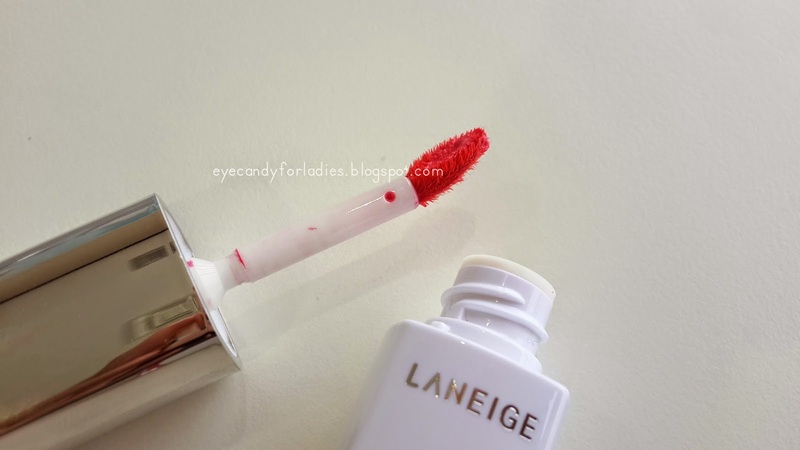 either in Laneige Malaysia nor Singapore website. - Water Fitting formula helps maintain optimal hydration throughout the day. 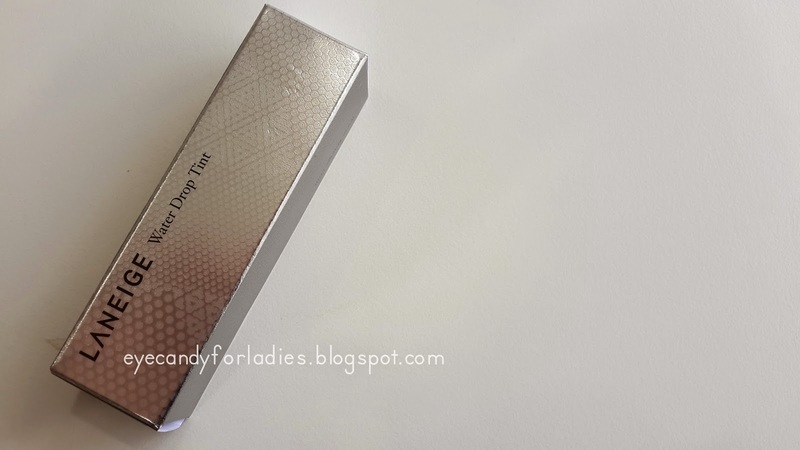 As you can see above, Water Drop Tint is unlike other Tint products: it comes in a liquid-tint texture but creates lustrous wet and glossy finish without overly plumped the lips. The cap goes in easily with twisted metallic cap and slanted sponge. While, the liquid is contained in a solid-white lacquered plastic tube with a slight of color peeked out from the bottom of the tube. 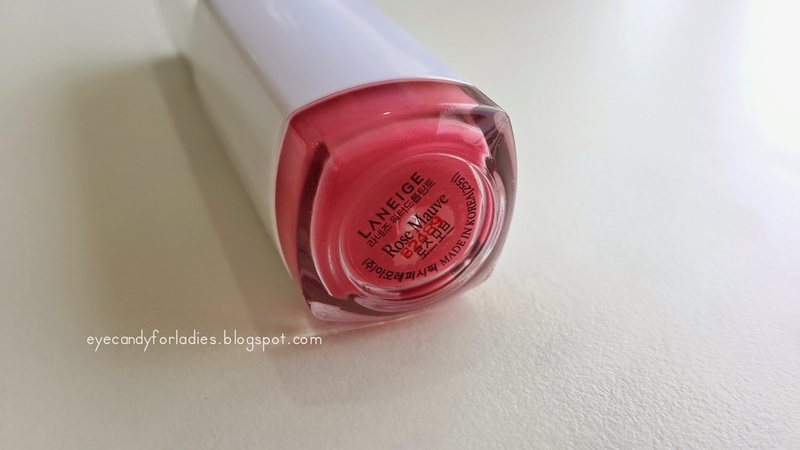 The only description is imprinted at the bottom of the tube and Laneige logo at one side of the tube. 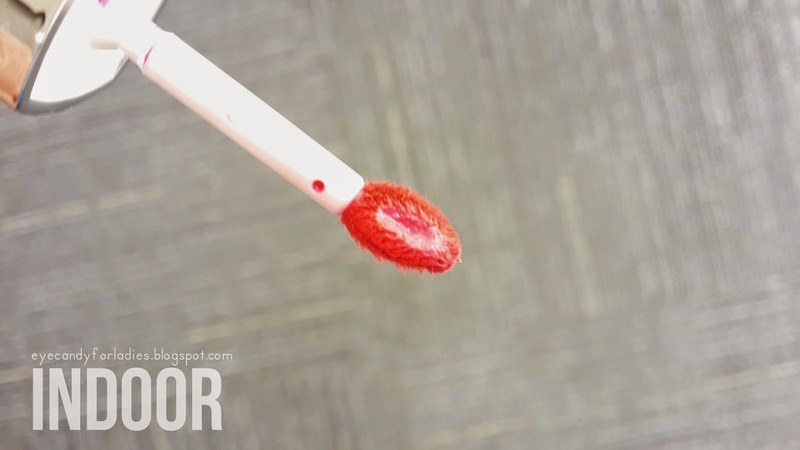 Unfortunately, the solid-white color makes the color contrary pop-out against the white tube and creates 'messy' look at the end/hole of the tube. 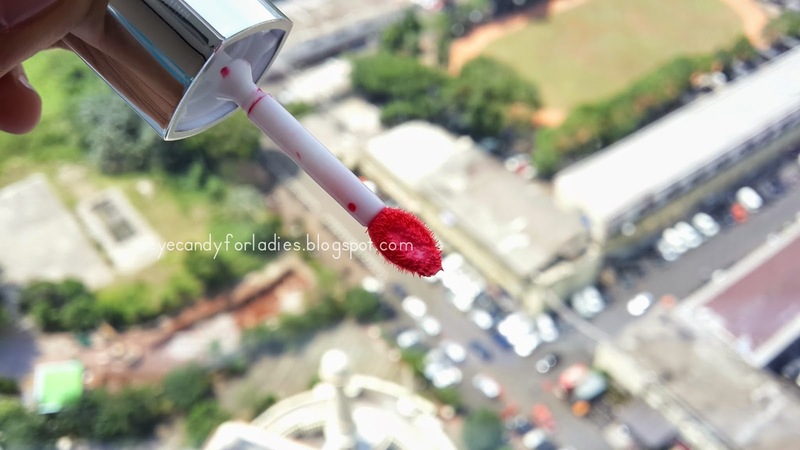 The 10 shades comparison above taken from Chency's blog to give you more insight of the shades' finish & pigmentation. 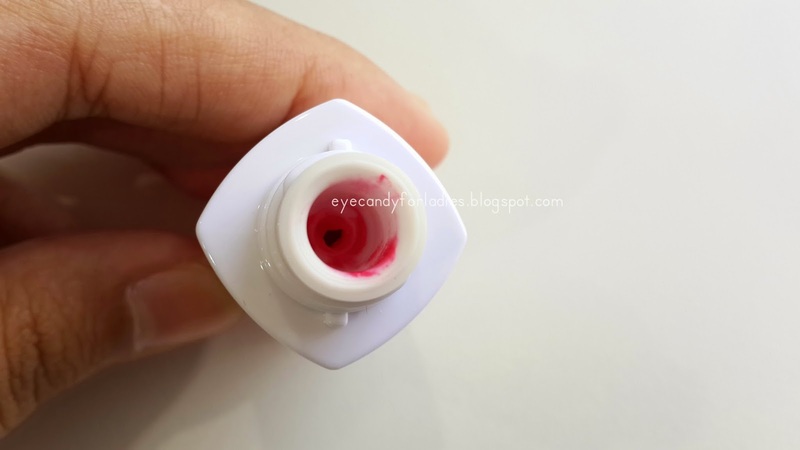 The tint liquid goes very watery and light-weight just like other tint product but with its intense hue it brings out the dense-opacity while coating the lip's surface with moistful, watery effect. 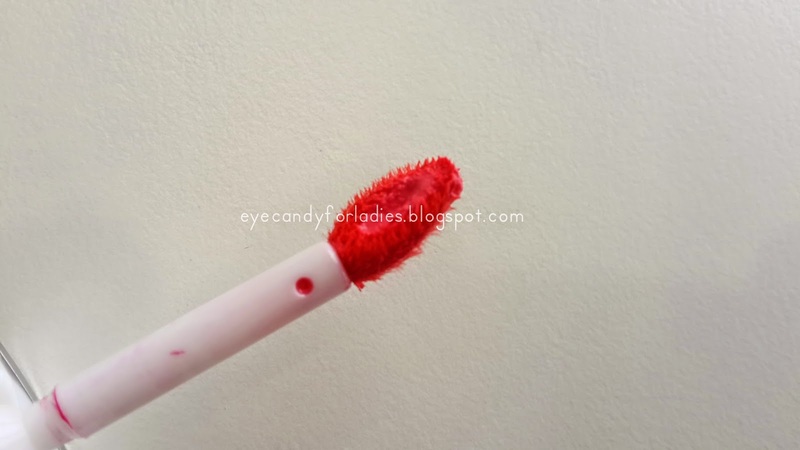 It glides so easily thanks for its moisturizing formula and doesn't drying up the lip even though you don't put lip balm beforehand. 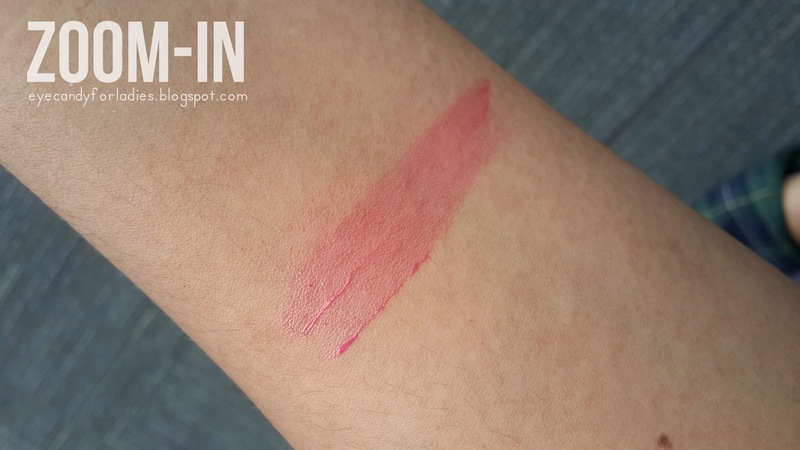 It has a subtle fruity-rose scent and slight of mint-flavour. 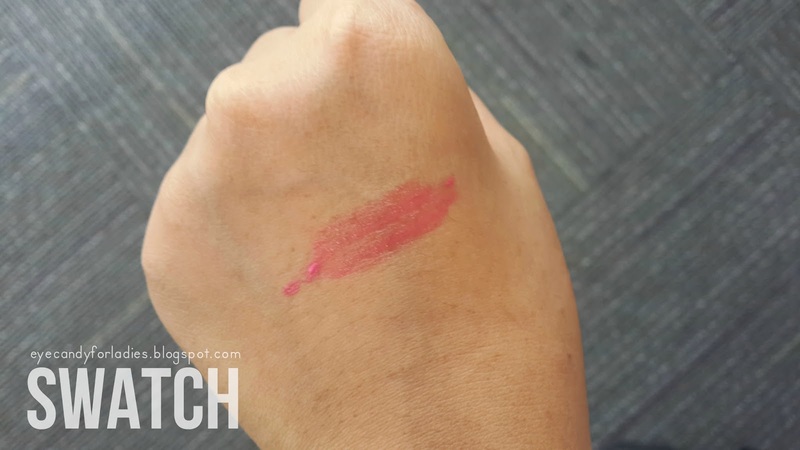 It coordinately leaves a subtle & lustrous-watery finish after application; not that glossy-sticky feeling, in which impeccably covers lip's surface with its promising formula. 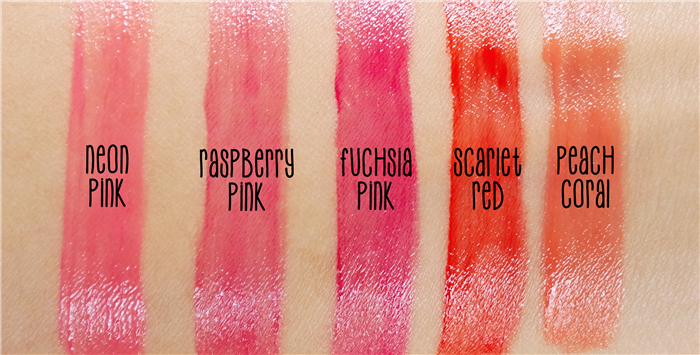 It's build-able and leaves a nice stain after 3-4 hours application; normal staying power for a tint-gloss formula. No glittery nor shimmering particle inserted. Both photos below are using Water Drop tint with different eyes style.